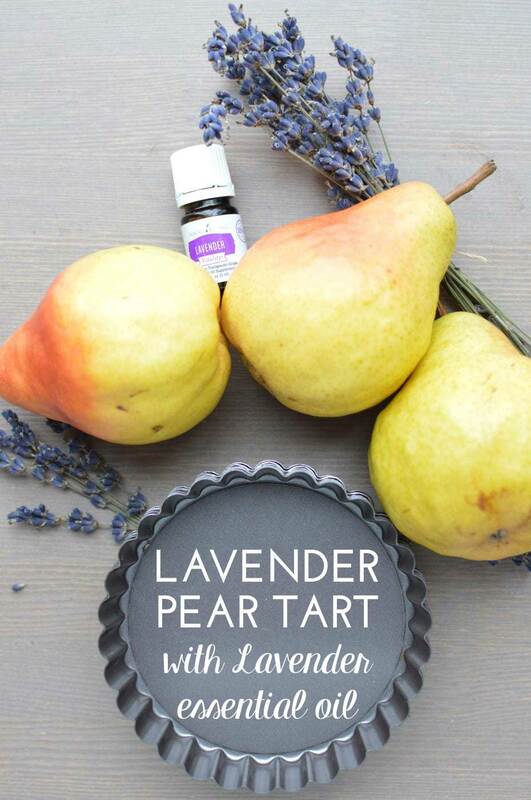 I love this easy lavender pear tart recipe. Perfect for an afternoon tea! Scroll down for more information about essential oils and don’t ingest anything else but high grade essential oils that are safe for internal consumption, like Young Living’s Vitaly-line of oils. This recipe made four single serve tarts. Thoroughly wash and peel the pears. Remove the core and thin slice the fruit. 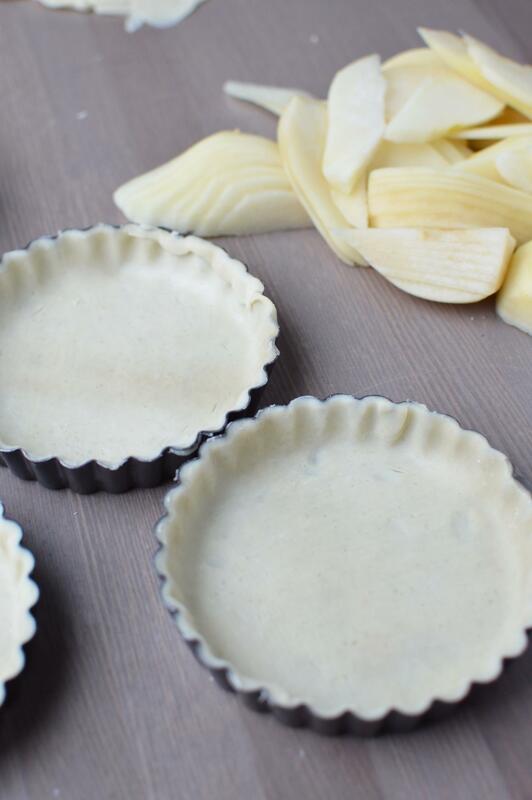 Fit the pie crust into small tart pans, pressing carefully but firmly around the edges. 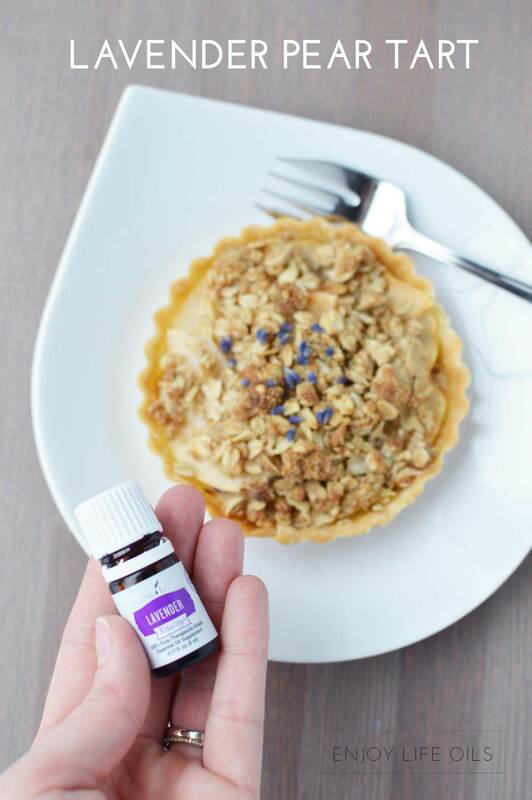 In a small bowl, combine the soft butter, flour, brown sugar, oats and Lavender Young Living oil together until you have a crumble that has chunks mixes in. 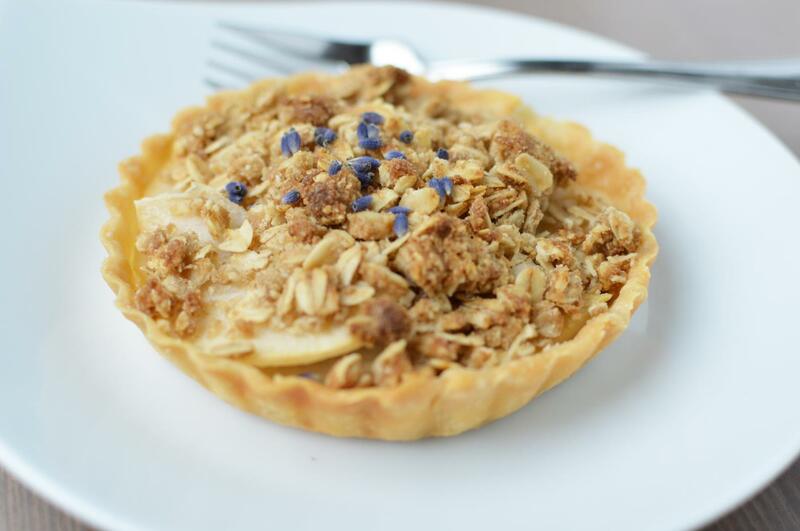 Be careful to have the lavender oil fully incorporated throughout the crumble for even tasting. 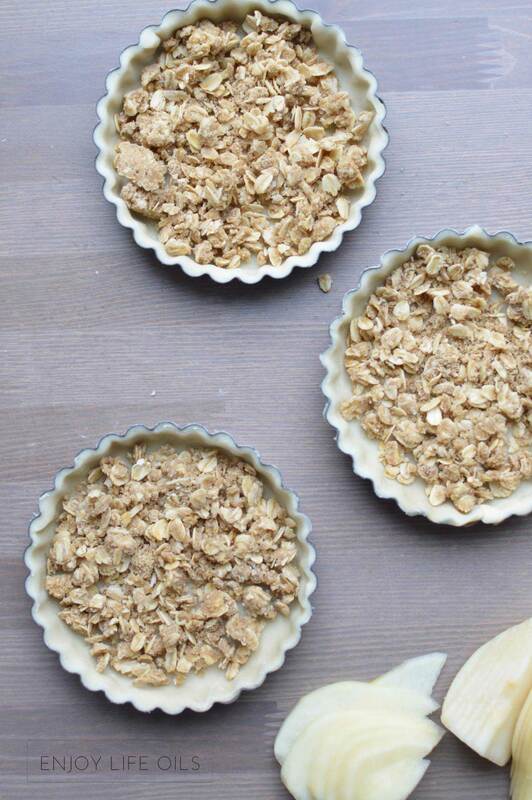 Add some of the crumble on top of the pie crust as the first layer. 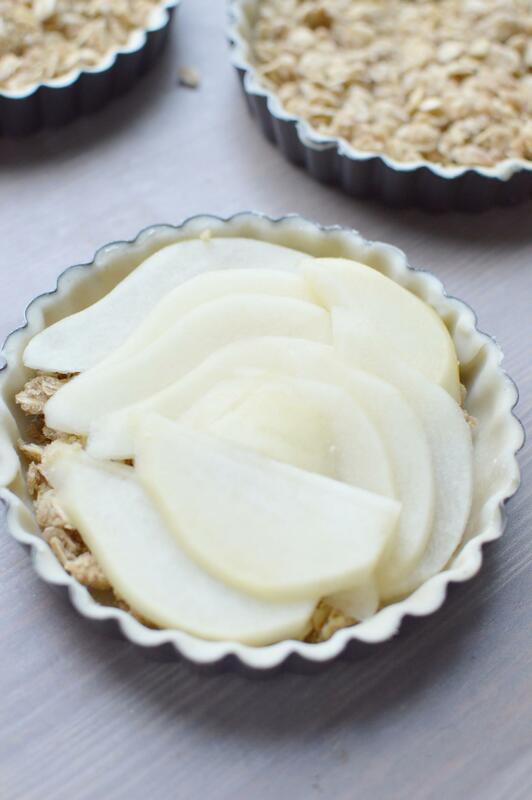 Lay thin, ripe pear slices across the entire tart. Cover the top with more crumble. Bake at 375 for about 12 to 14 minutes or until the pears are baked through and the pie crust is golden brown. Pears that are less than ripe might take a little longer, simply tent with tinfoil to make sure they do not brown too much. Allow to cool for a few minutes before removing from the pan and enjoying. Allow to cool for a few minutes before removing from the pan and enjoying. I sprinkled a little bit of food grade lavender on these. Make sure to pin the recipe for later! Young Living’s Vitality-line of essential oils are meant for internal consumption, and are the perfect addition to flavor a glass of water, add to your favorite tea, create unlimited recipes or simply be used as a dietary supplement. The Vitality dietary essential oil line gives you the freedom to explore some of Young Living’s best-loved essential oils in a variety of nutritious and delicious ways. * Word of caution: not all essential oils are safe for internal consumption. Do not make this recipe with just any essential oil you find online, grocery store or especially from a discount store. We only recommend Young Living’s therapeutic grade Vitality-line essential oils for all recipes. The best way to purchase them is by becoming a Young Living wholesale member and you can save 24% of the retail prices, but the Vitality line is well-priced – even with retail prices! 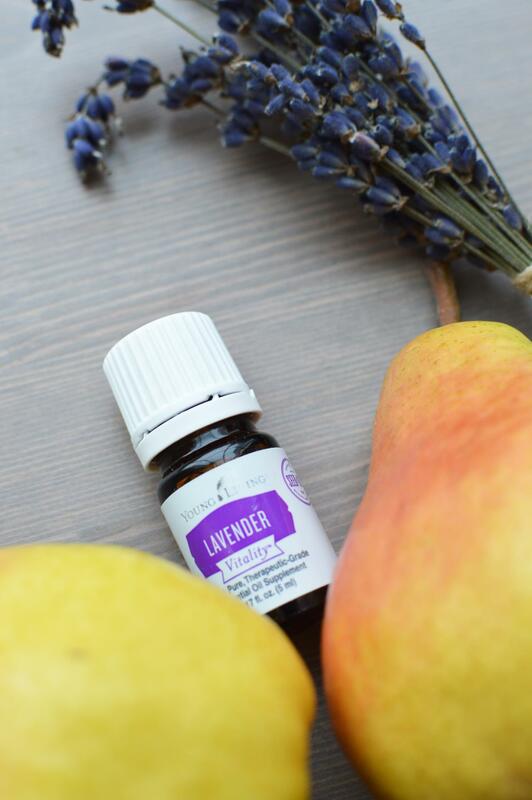 The Lavender Vitality essential oil costs $15.46 for retail customers, and $11.75 for wholesale members. Young Living is a network marketing company with an attractive business model for anyone to start a business by recommending their products for friends, however, selling is not mandatory, and anyone can become a wholesale member. The best way to become a member is by ordering one of their Premium Starter Kits. Essential oils are not just a fad, but herbs and the essence of flowers, plants and trees have been used since the ancient times. Let the essence from the nature change how you feel and get started with your path to wellness with essential oils today. Read 18 reasons why join Young Living as a wholesale member to kickstart your oil-inflused wellness lifestyle and head to Enjoy Life with Oils to read more about our oily lifestyle. Read to jump in? 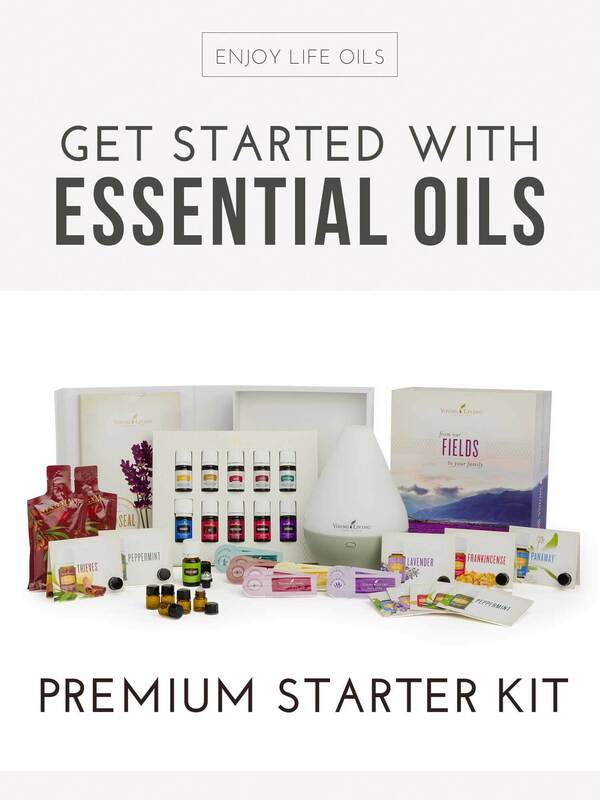 Get the Premium Starter Kit with 11 essential oils, a dewdrop diffuser and much more for $160. We will also invite you to our Enjoy Life with Oils Team’s Facebook group, send you educational material and get you started with the oily lifestyle in a team that focuses in living life to the fullest. We would love to see YOU there too!